traditional arts and crafts of japan evolved during periods in which the country's artists were isolated from the rest of the art world. included are handicraft - where useful and decorative objects are made completely by hand or by using only simple tools - by an individual or a group, and a 'craft' - work produced by independent studio artists, working with traditional craft materials and/or processes. today, traditional arts and crafts from japan inform iconic paintings, ceramic work and other objects from the past, but also inspire the work of contemporary designers and artists. 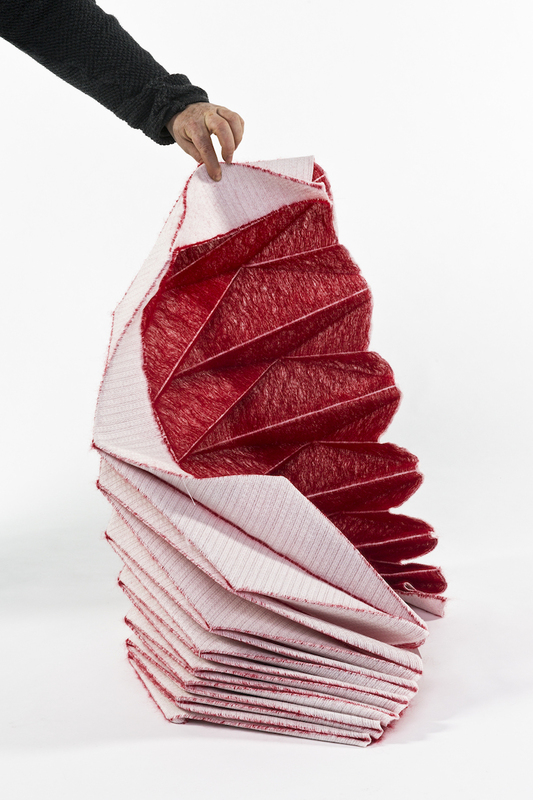 archifolds, winner of the creative heroes award, is an innovative series of textile structures based on traditional japanese folding techniques. 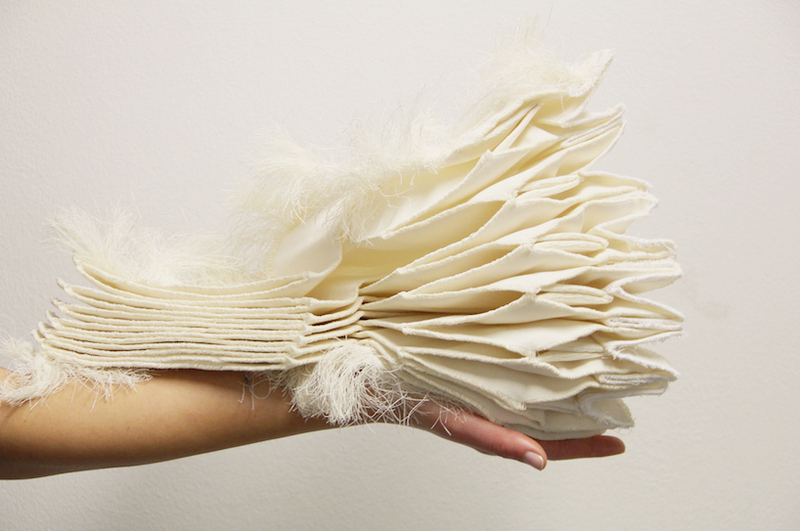 studio samira boon collaborated with tilburg’s textielLab and prof. t. tachi from the university of tokyo to translate traditional paper-folding into digital weaving techniques. 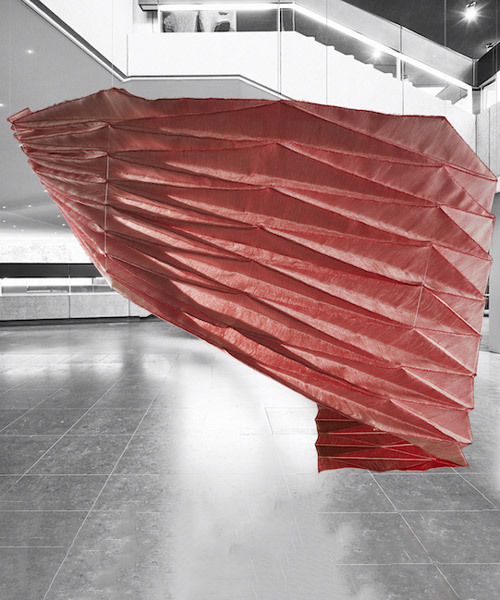 the textile structures embody samira boon’s vision on healthy environments as spaces that ‘are flexible and dynamic like natural systems,’ the designer mentions, ‘adaptive textiles are able to accommodate and regulate changing needs on spatial circulation, efficient energy usage and acoustic ambience.’ able to incorporate various smart properties to adapt to their surroundings – including light, heat and sound – the computerized textile materialization of origami structures offers a new type of architectural interventions that are extremely flexible in their use and possibilities. 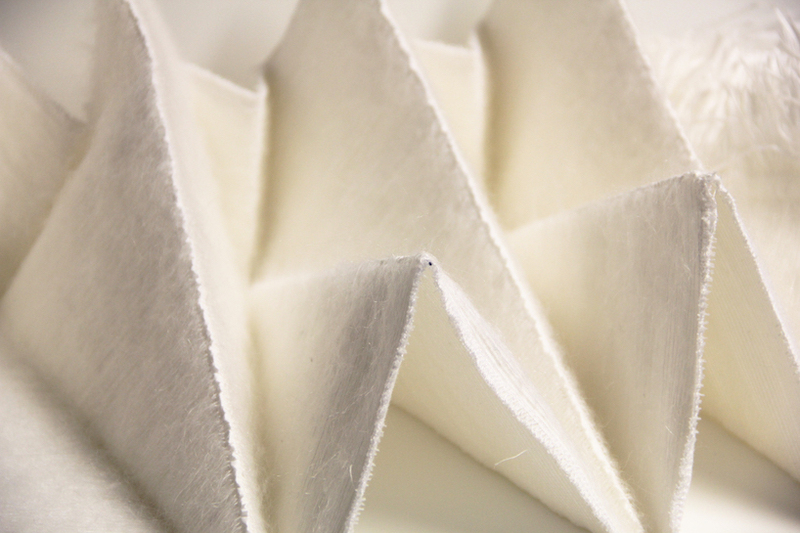 the woven structures can be folded and unfolded into different shapes, allowing two identical products to be installed in completely unique manners. they can be reused in different shapes and sizes, installed permanently or temporarily, and can be easily transported or moved. 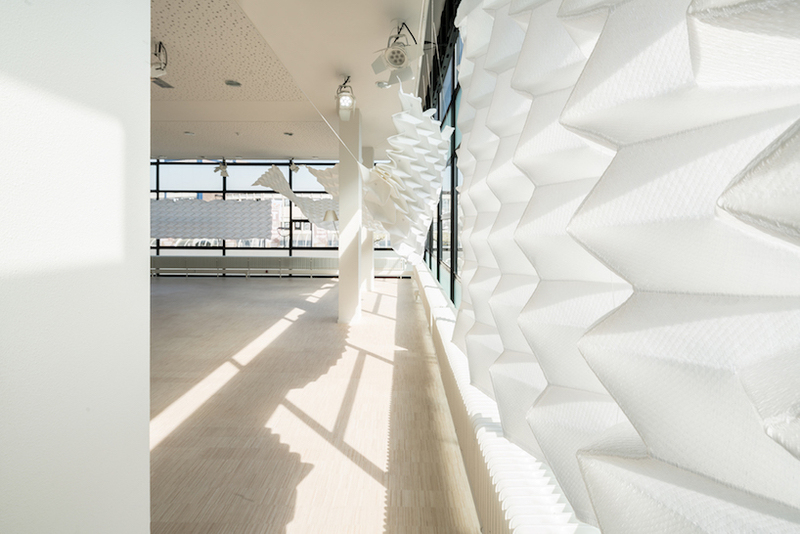 the first archifolds structure was installed at the theaters tilburg where samira boon was commissioned to redesign the interior of the audax room. 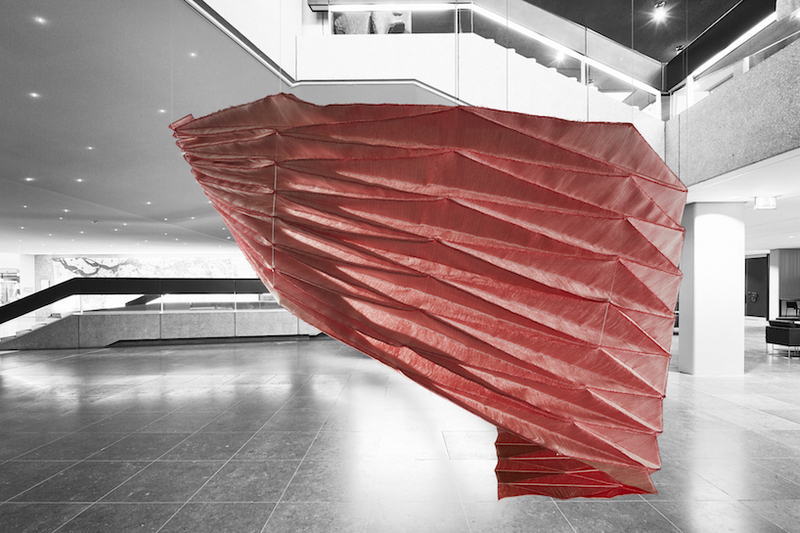 ‘you can constantly give this object a different look, I always get the feeling as if I’m walking through a visual art work, while at the same time it is a very functional space.’ rob van steen, the director of the theater explains.